Lessons with dialogues, drills, exercises, and narratives will teach you the basics of this language spoken in Ethiopia. Includes samples of speech, explanations of basic language structures, and a variety of practical exercises. Features two textbooks (PDF) and eleven audio lessons (MP3). Bookmark our free Arabic lessons section. Lessons from the Peace Corps. We get a lot of requests (believe it or not) for Danish. So here's another useful primer created by the One Minute series. Learn to speak, write and understand basic Dutch, with this free, three-week, introductory foreign language course. By University of Groningen. Bookmark our free English lessons section. The course has 10 lessons that consist of several parts: a short grammar introduction with explicit explanations (Language School, Grammar); a lesson's dictionary (Language School, Vocabulary); a phrase set (Language School, Speaking); exercises to develop language usage competence (Language School, Exercises); and a short socio-cultural introduction to the country that is thematically related to the lesson (Information center). Offers 50 lessons via podcast, each running about 15-20 minutes, which will help students learn conversational Persian for free. Each lesson builds on previous lessons, so to get the most out of the course, start from the beginning. The site also offers affordable premium learning materials. Easy Persian offers online lessons in listening, speaking, reading, and writing Persian or Farsi as spoken in Iran. In addition to Persian language lessons, the site introduces contemporary Iranian poets with English translations of their poems. You’ll also find free Farsi/Persian software, Persian names with English translations, Farsi writing drills and much more. A 3-hour series of lessons that's freely available on Spotify. This two volume textbook interweaves grammar- and vocabulary-building exercises with narrative elements in order to engage and develop students' abilities in Persian. The web site includes the textbook itself and related audio/visual files. Persian of Iran Today is published by The University of Texas at Austin's Center for Middle Eastern Studies Publications program. Hard copies of the textbook can be purchased online (volume 1 and volume 2). A free online textbook for learning German from the University of Texas. It's the web-based first-year German program developed and in use at the university. 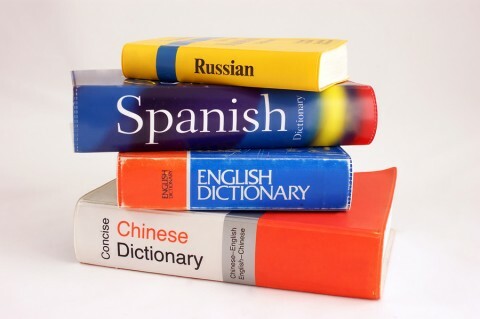 Created by the University of South Wales, these dialogues will help you to practice and consolidate some of the language skills you are learning, either as part of a language course or as something you need for your work. German for beginners: Paula and Philipp are Radio D reporters who have several mysterious cases to investigate. Join them as their research takes them across Germany -- and learn German along the way! Created by Deutsche Welle. Bookmark our free German lessons section. Representative of the Kathomilumeni variety that is the "standard" speech of educated Greeks. Three textbooks (PDF) and 75 audio lessons (MP3). These are courses taught at The Master's Seminary in Sun Valley, California. One textbook (PDF) and 40 audio lessons (MP3). The Hebrew Basic Course is designed to teach spoken and written modern Hebrew that is the ordinary, informal speech of educated native Israelis. It is not intended as a text for the study of the Old Testament or other Hebrew literature. Classical Hebrew taught using the serial and oral method. Features 56 videos. This introductory video presents the outline for the course. A short textbook by DN Sharma & James Stone on behalf of Foreign Service Institute (FSI). 21 TV episodes of Icelandic lessons. Each episode deals with daily life and common situations in Iceland. Accompanying every episode is a thorough summary, explaining the subject of the episode. The episodes have Icelandic subtitles, making the dialog easier to follow. A fun way of learning the Indonesian language and culture at your own convenience and pace. Includes free podcast audio lessons. This is the latest news in Indonesian from NHK World Radio Japan. For more advanced learners. For more advanced learners, SBS Radio Indonesian Language Program offers extensive coverage of international, national and local news and current affairs, including interviews with Indonesian community leaders and other cultural programs. Description Learn Irish with Eoin as he teaches you the basics of Irish, or Gaeilge. In this podcast you'll be learning just enough Irish to get by on a holiday or business trip to Ireland - and to impress Irish speakers everywhere! Learn some essential Irish, and hear poetry, prose and songs in Irish. Bookmark our free Italian lessons section. Created by the National East Asian Languages Resource Center at The Ohio State University. When you get to the website, look for the "Units" in the top navigation bar. Learn Latin from the ground up. This is a serial course, structured to bring you to a high level of Latin fluency. The pace is slow and unhurried. This course is suitable for all ability levels. Restored Classical Pronunciation. Find related course materials here. You can also find lessons on advanced vocabulary here. The UT-Austin Linguistics Research Center provides an overview of Latin and 10 lessons based on famous Roman texts. Learn Maori, the language of New Zealand's indigenous people. Although these lessons accompany a television programme that is currently running, the essential bits of the episodes are available to be watched right here on this site. The course starts at square 1. Site includes video lessons. Another useful site for learning the grammar can be found here. This is not audio, but it's useful nonetheless. A newspaper that helps you learn Norwegian by using large fonts and basic language. Free introductory lessons from the Norwegian University of Science and Technology. Includes audio, video, and a downloadable textbook. Free podcast is released once a week, for all levels, with a focus on conversation, pronunciation, vocabulary, grammar and popular expressions. Portuguese learning podcast for English speakers. Features a lot of discussion, conversation, cultural tidbits, and slang. From the Center for Open Educational Resources and Language Learning (COERLL) at the University of Texas. Bookmark our free Russian lessons section. Bookmark our free Spanish lessons section. Some essential grammar and vocabulary gathered on Spotify. Features a short course for absolute beginners, and a full course for people learning the language for business purposes. The project was funded by the EU. 17 audio lessons by the Peace Corps will get you started speaking Twi, one of the most widely spoken of the 70 languages in Ghana. Includes a 20-lesson introduction to the Yiddish alphabet, basic vocabulary and sentence structure. There are also some more advanced lessons. These lessons (6,000 in total) are developed for independent learners to provide them with the learning/teaching tools for improving their foreign language skills. Reading and listening lessons are based on authentic materials (articles, TV reports, radio broadcasts, etc.) and consist of 4 to 6 activities. GLOSS offers certificates providing documentation of work accomplished. Our collection of foreign language lessons has been featured in the New York Times, Princeton University's Humanities Resource Center, and The New York Times again, and yet once again in The New York Times.